Robert B. Turner Elementary School opened it's doors in the fall of 2002. Named after a former principal of Western Anderson School, this school began as a blended family of teachers and staff from three existing elementary schools: Saffell Street Elementary, Emma B. Ward Elementary, and Western Elementary, as well as several first-year teachers. The school's first principal was Sheila Mitchell (now Superintendent of Anderson County Schools). She was followed by interim principal, Gary Stinnett. Mr. Wayne Reese was hired in 2006 and was principal at RBT until his passing in 2017. Mr. Gary Stinnett returned as interim principal in 2017 and long time teacher, Mr. Jason Alexander, was hired as principal in 2018. We operate under the TEAM concept in which staff, parents, and students work together as one to "win the game" of education of all students. This approach has been successful for us. On the state KPREP assessment, we have moved from a Proficient shool to a "School of Distinction". We placed 32nd out of 720 elementary schools in Kentucky on the state assessment for the 2013-14 school year. Robert B. Turner Elementary School provides students with many opportunities to learn inside and outside of the classroom. An outdoor nature trail gives students the chance to observe nature and learn about natural science first hand. We also attempt to broaden the cultural horizons of students by bringing in various assemblies for both educational value as well as entertainment. Students have enjoyed assemblies such as the Chinese acrobats, Cumberland University steel drum band, jump rope teams, musicians, and dramatic performances. The Family Resource Center (FRC) works within the school to build the bridge between home and school for many families. The FRC sponsors events such as Back-to-School night, Homework Help, Pumpkin Carving with Dad, Amazing Reading Race, etc. Turner Elementary is focused on students being successful and celebrating that success. Students have many opportunities to excel and be recognized for academic achievement as well as good character. Some of these opportunities include the Accelerated Reader Program, Power of Positive Students (POPS), Awesome Attitude Association, and a year-end awards ceremony. These are just some of the many reasons that Turner's students are successful and do so well on KPREP state testing. 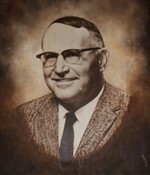 Robert B. Turner was labeled a School of Distinction for the 2013-14 school year by the Kentucky Department of Education.